Project management can be a stressful, high risk job that requires confronting unexpected circumstances where information might be incomplete or incorrect. The need for project managers to introduce themselves into new environments and succeed under tight deadlines requires systems to quickly gather and communicate information. When it comes to generating, modelling and sharing information about physical spaces, 3D imaging and point cloud surveys are second to none. 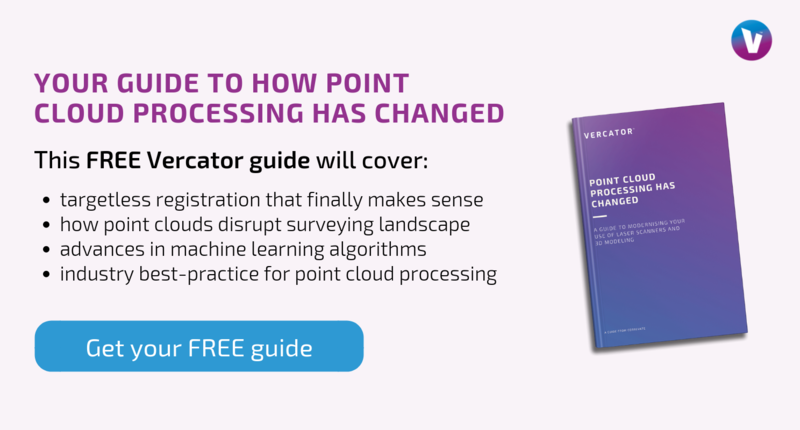 Advances in point cloud processing are increasing the accessibility of 3D point cloud surveys as a solution to this ‘instant access’ information problem for all kinds of project management. Here, we will explain how project managers can develop a competitive advantage using point cloud technology and detail the types of questions that you need to ask surveyors in order to find partners taking full advantage of the advances in point cloud surveying technology. Point clouds de-risk project management by removing the need to evaluate and prioritise location information. Rather than having to make measurements based on a partially formulated plan, a team of surveyors can step in and capture every measurement at once in a format that can be flexibly assessed, when and where it is needed. Projects enabled by point cloud technology help to insure against site revisits in the event that plans change and additional location information is needed. All of that information has already been captured and is stored in a database that can be reassessed from the office — allowing for more flexible planning and a reduction of risk. Point clouds enable the creation of collaborative 3D models. BIM (Building Information Modelling) software and methodology can even be used to introduce functionality and cost metrics into that single digital model. This enables remote teams to communicate with the same level of information and certainly as if they were all on location together. This reduces the risk of miscommunication that could lead to project delays or incorrect time investments, and allow for the faster delivery of correct outcomes. They also allow for more accurate client communication. For renovation or construction projects particularly, point cloud enabled 3D models let clients explore a finished project in high quality detail prior to the investment of time and money in delivery. Project managers can be sure that clients are informed and happy, and that the risk of unsatisfactory outcomes are reduced. This all translates into greater certainty throughout the project, in addition to delivering cost savings to traditional workflow processes. Smaller teams can work across greater distances. When dealing with locations that are dangerous or inaccessible, point clouds further improve team safety and widen communication. This applies to both team and client interactions. For renovation and construction projects, existing architectural data is often critical to planning. When engaging with modern structures with updated BIM schematics, this can be easy and accurate. For older buildings, contractors are required to redraft models based on old and potentially faulty information. This is a time-consuming process that links the quality of your work to someone else's data. Point cloud surveys allow project managers to collect all of that data themselves. That means you can guarantee quality and deliver formats and structures to your team that they are familiar with using. This level of control reduces external variables and removes a great deal of risk that could impact the outcome of your project. Taking a laser scan at the start of a project gives you a record of where you started. This offers greater protection from litigious clients by documenting the conditions that existed prior to your involvement. In damage dispute cases, for example, you can simply refer to the record. As a project manager, you will be able to identify guilty contractors and avoid complications with unscrupulous clients. The visibility this offers you is increased if additional scans are taken throughout a project to compare progress to planning. This is a technique that delivers further process and workflow benefits in addition to creating a complete record of what you did and where you started. These types of scans can also be used to showcase your skills to prospective clients. But, from a risk standpoint, they simply allow you to prove what occured in case of misunderstandings or malicious incidents. All of this may sound great, but there is a reason that point clouds have historically only been used in high-end construction projects — cost. Traditionally, commissioning a point cloud survey has been expensive. 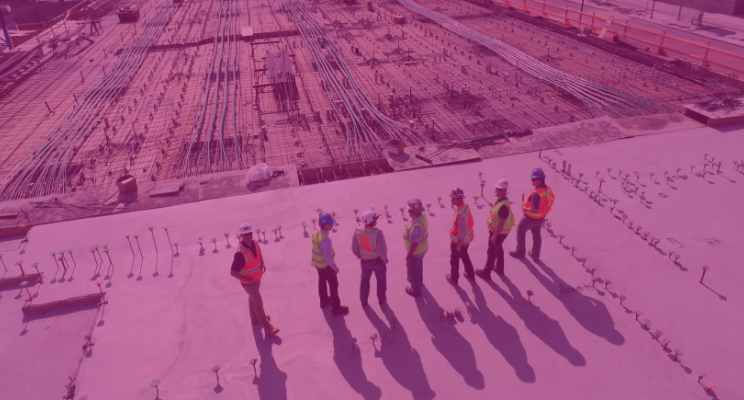 The 3D surveying community, however, is undergoing something of a renaissance in processing capabilities, opening up a wide range of options that project managers need to understand in order to update their processes. The stumbling block to improving the efficiency of delivering 3D point cloud surveys is ‘registration’. This is the process of identifying, aligning and stitching together the multiple scans that are required to gain total scene coverage. Registration software can either depend on artificial targets or use natural features within the scene to align scans. In both cases, traditional software struggles to accurately deliver results without significant manual oversight within a time-consuming process. What is changing the 3D surveying industry is the introduction of new, multi-stage processing software that uses vector-analysis to accelerate processing times and automate laborious tasks. Surveyors who use this technology are able to queue up scans for hands-off processing. Manual tasks are front loaded or relegated to the end of the process, massively improving efficiency while also increasing processing speeds by 40%-80%. This breakthrough has created such efficiency improvements that it is opening up the use of the technology to whole new categories of application. By using point cloud technology, project managers gain visibility over locations and flexibility in workflows. Communication is improved across teams and with clients. Delays are avoided if plans change because all information about a location has already been captured and stored in a point cloud database. Records are maintained and project managers are able to avoid depending on pre-existing and potentially faulty information. Accessibility of this certainty and risk control technology has been improved by breakthroughs in point cloud processing software. 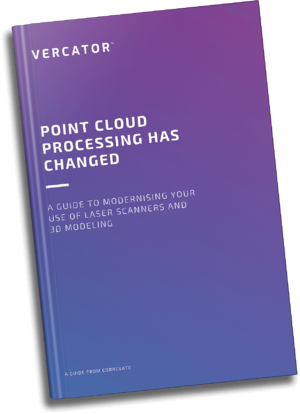 Project managers looking to access the guarantees and workflow improvements offered by point cloud technology need to look to surveyors who are embracing the cutting edge of point cloud processing. Point clouds and 3D surveying is in a point of fluctuation. It is up to project managers to make sure that they are accessing the right partners and making the most of advances that can empower them to de-risk their projects.